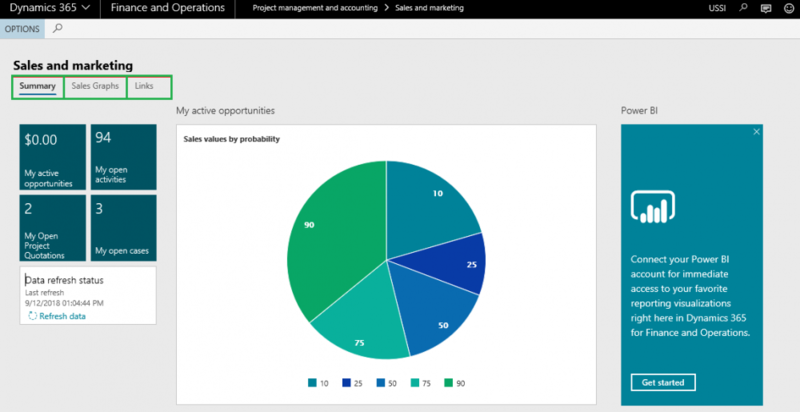 *Projects+ 8.1 for Microsoft Dynamics 365 Finance & Operations brings lots of exciting new features. Continue reading this article for more details on new features and enhancements. If you would like to try out some of these features please reach out to us here or email us. The options in this feature enable users to capture time faster. Features include import from calendar, built-in timer, simplified mobile app, Excel import, and Microsoft Flow automation. Projects and activities are easily tagged as favorites and Project selection has been simplified. At the end of the week or day, required details are added, then time entries are transferred to a traditional timesheet for approval. Below are some different ways of using this feature and capturing your time. Users can enter the time spent on activities\tasks directly on the new form as they are working on tasks throughout the day. Quick access to favorite projects and activities is available to expedite time entry. Time can be entered initially into a generic activity and categorized later. Using the built-in timer functionality, users can record the time spent on various tasks\activities during the week using start/stop buttons. Provides ability to import calendar appointments from Outlook (Office 365) account. Once imported, users will be able to assign details like project and activity, multi-select and assign favorites are available to expedite the process. 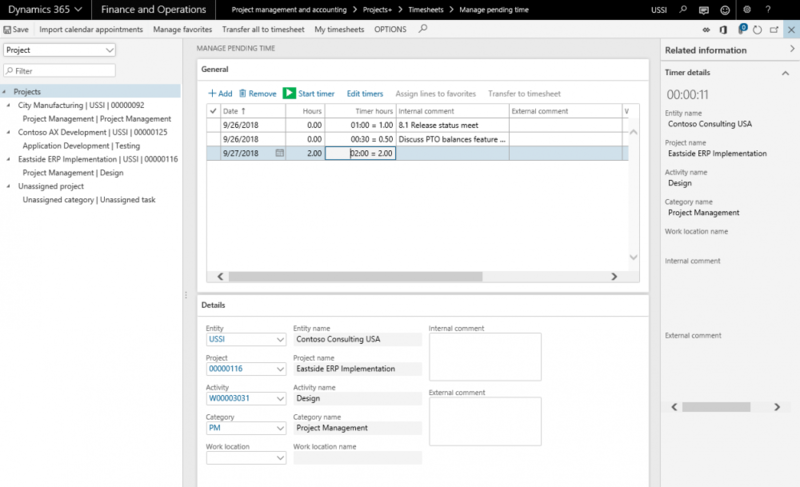 Read the Manage pending time article for more information. Many professional services firms bill for a quantity of work done other than hours; some examples of unit billing are head count billing, billing by team size, number of cases closed, etc. To better support various quantity based scenarios, and IFRS 15 regulations, Projects+ now includes the Unit Billing feature. This feature covers all the four stages – forecasting, consumption, revenue recognition and billing. The components of Unit Billing are briefly defined below. In the forecasting experience, the quantity expected to be billed and the price of each unit is specified. The quantities can be allocated over a period of time. The forecast also defines the method of calculating the proposed number of units, such as Daily billing for resources, Weekly billing for a team, a standard Monthly quantity, manually specified quantities, and more. Periodically, Project Managers and/or Project Accountants review and post the actual quantity that will be billed for a period of time. A proposal batch is run to calculate the forecast lines eligible for billing. 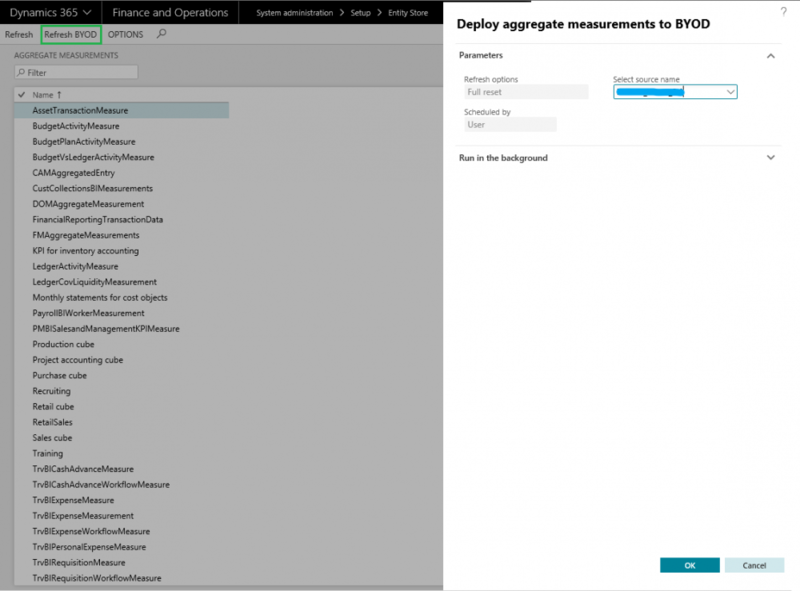 In some cases, the proposal quantity can be calculated based on the Unit forecast settings, and the proposal can be overridden before posting. In manual billing scenarios, the user will enter the appropriate quantity. Once the quantity is ready, the proposal is posted and ready for billing. Immediate: This setting follows standard Dynamics Revenue recognition logic, recognizing when the unit is posted or invoiced. Manual: The entire proposal amount is available to be recognized on a date the Project accountant determines. Deferment: Revenue is recognized over a schedule, for example a yearly unit billing could be recognized monthly over a 12 month period. Projects+ invoicing features have many existing options for summarizing the units at various levels of detail on the invoice. Read the Unit billing article for more information. Visit the Time export article for more information. It’s important that workflows and approvals are performed in a timely manner; identifying pending workflows and communicating with approvers is critical business process. For some companies, it’s also important the Workflow Administrator be allowed to push approvals through so other processes are not delayed. 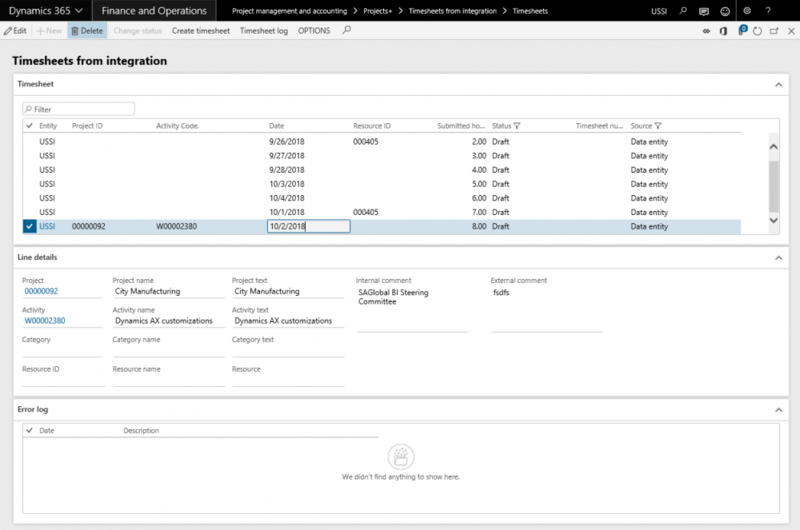 Projects+ Workflow Administrator role is introduced to manage workflows across Microsoft Dynamics 365 for Finance and Operations. Users assigned to this role will have the capabilities to reassign the workflows to appropriate people, including users who forgot to configure their Workflow Out of Office delegate. Late approvals can be reassigned and approved directly from this form. Read the Workflow Administrator article for more information. The Projects+ Workspaces have an updated design. Different sections on the Workspaces are split into multiple tabs, reducing horizontal scrolling. 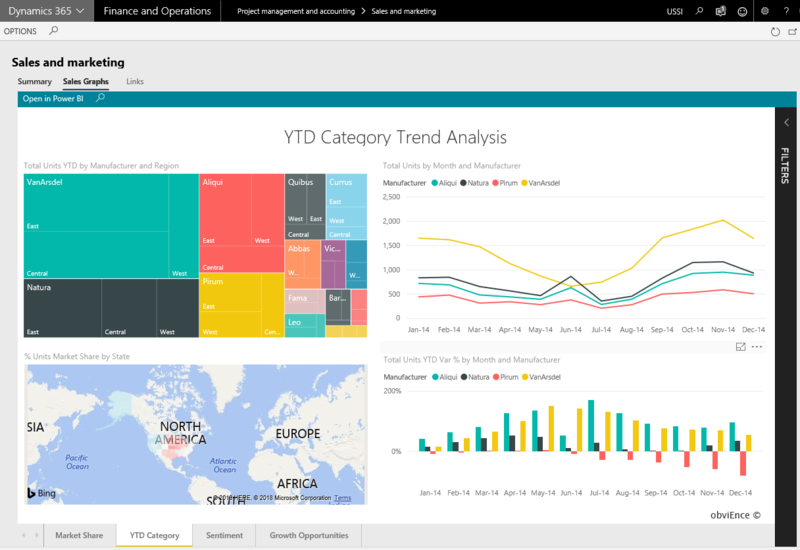 A new Analytics tab is available on the Workspaces so PowerBI.com reports can be displayed on a tab for all users of the Workspace. Timesheets Integration experience has an improved user interface and data entity changes. The Data Entity has new text fields that search in multiple ways for a matching value – for example, Resource can be searched by Id, name and email. The Timesheet Integration form for investigating integration errors design has been simplified. Read Timesheet Integrations article for more information. A new Refresh attributes button is available on the Project invoicing group form to update additional attributes that are made available through Projects+ improvements or customizations. The default value for the new attribute will be inactivated. 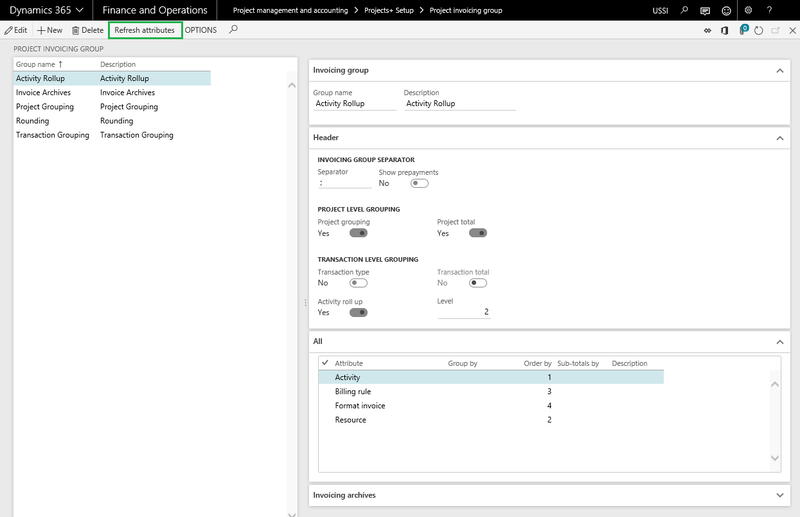 The current out of the box Entity store feature Publishes the Aggregate Measures to an “Entity store” database (AxDW) that cannot be directly accessed via SQL or Power BI. Projects+ has introduced a method of publishing the out of box Aggregate Measures to a customer provided database (BYOD). This publishing method makes it significantly easier to consume and publish Microsoft provided Data Models and Power BI content. All Projects+ BI fact tables, and key dimension tables, support the incremental export of data. Incremental exports reduce performance impacts when exporting data into a customer provided BYOD and allow for more real-time reporting scenarios. Additional indexes have been added or updated to improve performance. Projects+ BI now includes Project invoice details, so reporting can be done at the lowest level of Invoice detail. In prior versions Invoice reporting was only available at the Invoice header level. When configuration changes are made, the process to update historical transactions can be executed via a batch process. The updates can be limited to a specific date range.